A website dedicated to the history of the 106th Infantry Division during WWII. Offers history, research, remembrance and guided tours of the Battlefield of the Golden Lions. On this homepage you can find news and updates regarding the 106th Infantry Division, its European legacy and the activities of the "Bulge Chapter" of the Division Association. 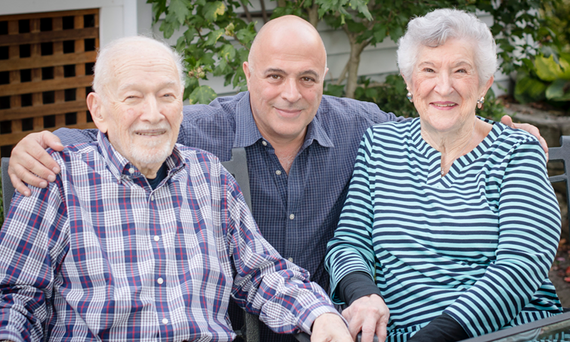 Argentinian filmmaker Eduardo Montes-Bradley directed an award winning documentary featuring the story of 106th Division Ex-POW Milton Feldman. The film was co-written by Seth Bauer and produced by Soledad Liendo. 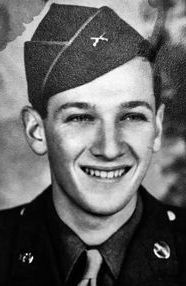 Feldman served as a wire crewman and anti-tank gunner with Battalion Headquarters Company, 1st Battalion, 423rd Infantry Regiment. He was captured during the Battle of the Bulge and spent the next four months as a POW at Stalag IV-B. The documentary titled "A Soldier's Dream" is part of a series created by the Heritage Film Project. Especially for the 74th Anniversary of the Battle of the Bulge, the full documentary will have its online premiere on this website. Watch the full documentary by clicking the link "A Soldier's Dream" in the navigation bar or HERE. The link will be posted on 16 December 2018. Director Montes-Bradley next to Milt and his wife Renee Bauer on a first meeting held in Boston to plan for the making of "A Soldier´s Story". 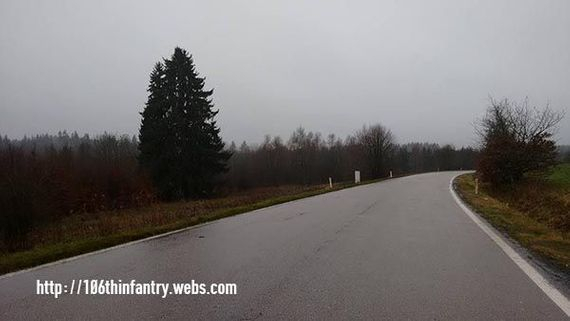 In search of the fifty-four GI's of the 106th Division and their attached units, still missing in action. The Bulge Chapter of the 106th Infantry Division Association is actively cooperating with authorities in search of these missing men. Information about these individual GI's is always welcome. Go to the project page by clicking on the photo above or by clicking this LINK. On 18 December 1944 a vehicle column of the US 14th Cavalry Group was ambushed on the road from Poteau to Recht (Belgium). This Task Force, commanded by Major James Mayes, S-3 Officer of the 32nd Cavalry Reconnaissance Squadron, was destroyed by elements of the 1. SS Panzer Division's Kampfgruppe Hansen in a short but brisk firefight. Trapped on a narrow elevated road, Mayes' vehicles had no escape route and were abandoned. The fight for the small crossroads town of Poteau would last for several days and prove vital in creating an escape corridor for American units fighting in the St. Vith pocket. Meanwhile the abandoned TF Mayes convoy proved to be an excellent backdrop for propaganda images. This staged cine film was made by SS-Kriegsberichter (war correspondents) who were later captured by GI's of the 30th Division. Released by SHAEF for publication, this was some of the first footage seen by the Allied public in relation to the German drive in the Ardennes. The wooden shack that can be seen behind the SS trooper around the 1:38 mark, stille exists. The pine tree that can be seen behind it in the 1944 footage has grown significantly since then. A photo of the ambush site in 2017 is posted below. As every year, the Flag of Friendship is presented to someone who has helped preserve and perpetuate the story of the 106th. The 2017 Award was presented to outgoing Burgermeister of St. Vith, Christian Krings. He has been a loyal and most supportive ally in regards to the annual Battle of the Bulge commemorations in his city and especially towards the 106th Division. He receives our gratitude for his assistance and dedication in this task of remembrance. 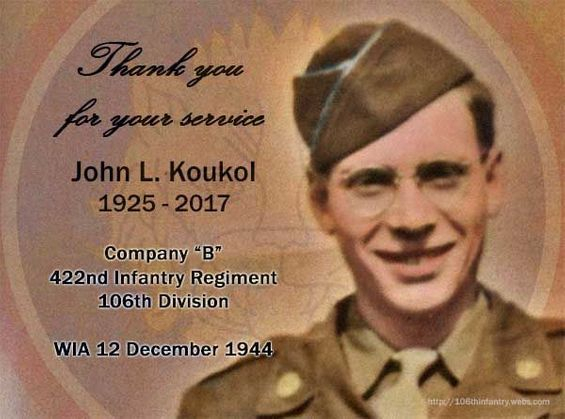 We pay hommage to the late John L. Koukol, who served with Company "B" of the 422nd Infantry Regiment. He passed away on August 1st, 2017 at age 91. Koukol was the first official combat casualty of the 106th Division and suffered a leg wound due to shrapnel while on sentry duty on 12 December 1944, four days before the start of the Battle of the Bulge. John's story will be one many that will be told in the upcoming book "Baptized by Fire". We are honored to have known him and to pass on his story. 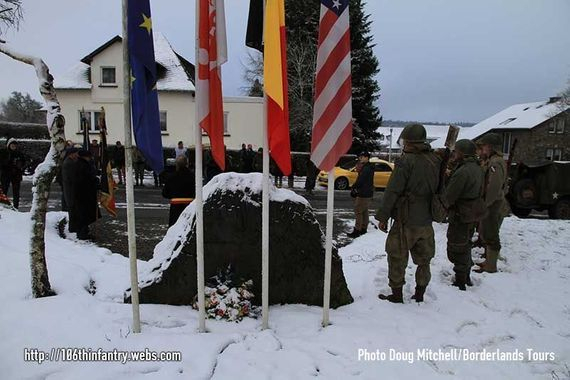 On 7 January 2017 the Bulge Chapter of the 106th Infantry Division Association placed flowers at the monument for the 424th Infantry Regiment at Spineux, Belgium. 72 years ago the Regiment was tasked with the mission of attacking the villages of Lavaux and Coulée. A fierce battle and many casualties were the result. In 1989 a fitting memorial was inaugurated in Spineux, in honor of the men of the Fighting 424th. On 17 December 2016 the fifth Flag of Friendship ceremony took place in St. Vith, Belgium. 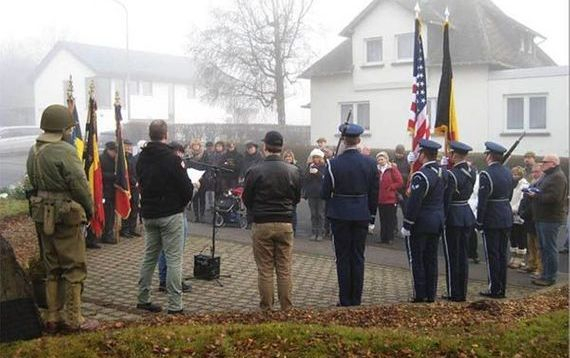 Since 2012 the 106th Division Association and its European "Bulge Chapter" award a U.S. flag to an individual who has shown great initiative in perpetuating the history of the Golden Lions and American veterans of the Battle of the Bulge. The 2016 honoree was Solange Dekeyser of Belgium who has -for many years- honored US veterans through her work with the American Battlefield Monuments Commission and the Henri-Chapelle Cemetery, as well as serving as President of the Wereth Memorial, honoring the men of the segregated 333rd Field Artillery Battalion that was attached to the 106th Division. 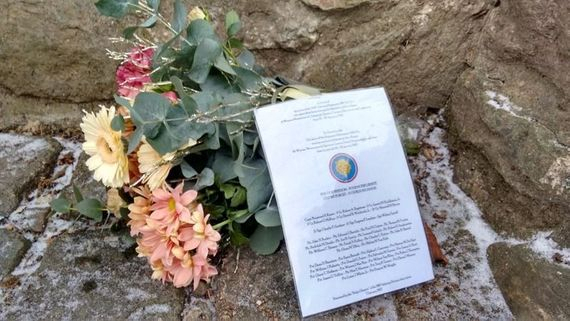 Flowers were presented at the Division memorial by the City of St. Vith, CRIBA, the C-47 Club Ardennes Salm River Chapter, the Museum 'House of the Belgian-French Resistance' and the 106th Infantry Division Association 'Bulge Chapter'. Photo courtesy of Cedric Gregoire. More photos can be viewed HERE. On this day of remembrance, our deepest gratitude goes out to all veterans, past and present, who served to protect the values and liberty of the free world. 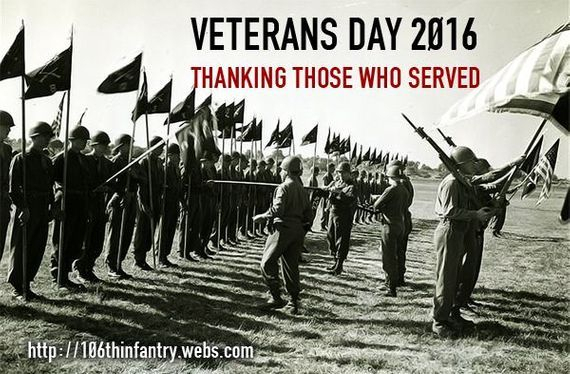 Thank a veteran when you have the chance or pay your respects to one who gave his life for your freedom. Lest we forget their sacrifice. The past blends into the present in one photo. German guards and prisoners of war distribute food at the Lagerküche of Stalag IX-A in Ziegenhain, Germany. The present day village of Trutzhain was founded on the grounds of the former prisoner of war camp. In mid-January 1945 approximately 1,290 American NCO's arrived here from Stalag IX-B in Bad Orb. The camp was liberated by the 6th Armored Division on 30 March 1945. 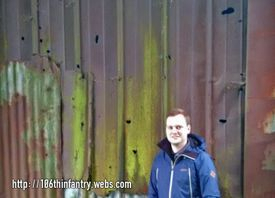 In October 2016 the Webmaster visited the former POW camp with the son of M/Sgt. Roddie Edmonds (422/HQ), who was the senior American NCO and barracks leader. Edmonds was honored as Righteous among Nations by Yad Vashem in 2015 for refusing to segregate the Jewish American prisoners in the camp. For more information on Stalag IX-A and this story click HERE. 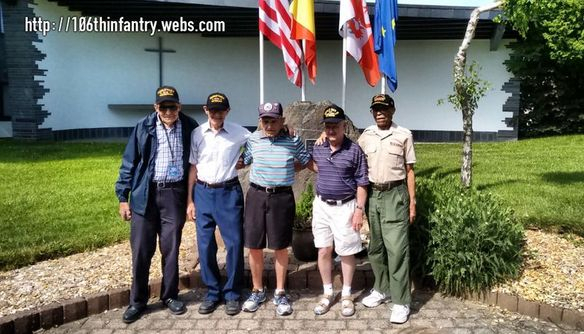 On 10 June 2016 five WWII veterans and their families visited the 106th Infantry Division sector with help of the 'Bulge Chapter'. Two of the attending veterans served with the 106th Division during the Battle of the Bulge and naturally had an interest in retracing their footsteps. Marcus Bartusek was a machine gunner in Company "H" of the 424th Infantry Regiment and Henry Breton was a lineman of a Signal Battalion attached to the Division. Ben Berry served during the Battle of the Bulge with the 863rd Quartermaster Fumigation and Bath Company. Hartley Baird was a member of the 30th Air Depot Group of the 9th Army Air Force and served in Normany, while Vern Shoemaker as a Navy veteran was stationed at Pearl Harbor during WWII. Once again it was a great honor to welcome these men to Belgium and thank them for their service. They are truly the Greatest Generation. 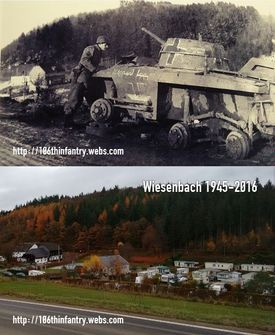 When touring the Ardennes and Eifel area, it is still possible to find amazing relics of the Battle of the Bulge. This barn in a small hamlet in the Losheim Gap still shows clear traces of the intense fighting that took place here in December 1944. Shrapnel damage and bullet holes remain visible after more than seven decades. In most cases this kind of damage was patched up in the post-war period, but in this case it remains as a testimony to the brutal and deadly combat conditions both soldiers and civilians faced in the area. 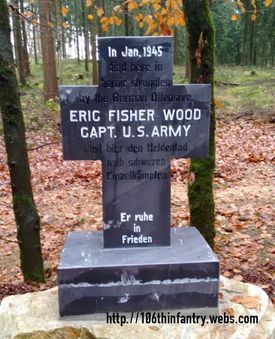 The stone cross honoring the sacrifice of 1st Lieutenant Eric Fisher Wood Jr. in the Ommerscheider Wald outside Meyerode, Belgium has been recently renovated. The monument which was erected by the people of Meyerode in the 1950ies is repolished and slightly shortened since it broke during removal work. A replica of the original memorial was also recently dedicated at the Valley Forge Military Academy (VFMA), of which Wood was an alumnus. 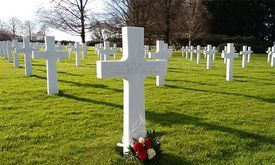 Lieutenant Wood was the executive officer of Battery "A" of the 589th Field Artillery Battalion and was killed in action on 23 January 1945 near Meyerode. Click HERE to read more on his story. The old guestbook application that had been running since 2008 is now replaced by a newer version. All the guestbook entries were added to the new application. All visitors are welcome to leave a message or to send me an email with their remarks. When leaving a message, don't forget to leave your email address or contact info so I can get back to you with additional information. A GI of the 7th Armored Division inspects an abandoned M8 Armored Car which was captured by the Germans near St. Vith. Behind him the Wiesebacher Mühle is clearly visible. The 106th Infantry Division honor roll has been updated. I first published it in 2008 after transcribing it from a carbon copy in poor shape. Careful research has revealed almost 200 additional names of GI's who gave their all. For more information on a specific GI you can always contact me. The grave of Sergeant William D. Morris III, member of the I&R Platoon, 423rd Infantry Regiment at the Henri-Chapelle Military Cemetery. 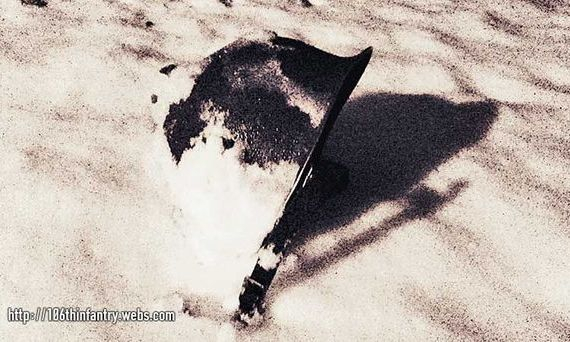 Sergeant Morris was killed accidentally at Ferrières, Belgium on 23 Deecember 1944 after succesfully escaping the encirclement in the Schnee Eifel. I adopted Sergeant Morris' grave several years ago and regularly pay my respects to him and the 7,991 other GI's buried at the Henri-Chapelle Military Cemetery. 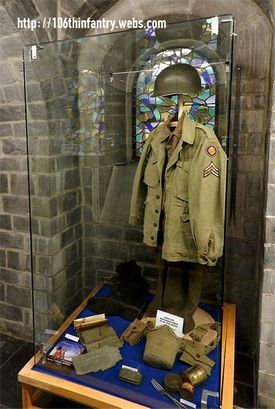 An original 106th Division uniform was on display at the St. Vith church during the 70th Anniversary of the Battle of the Bulge exhibition organized by ZVS (Zwischen Venn und Schneifel). The uniform was on loan by the Bulge Chapter of the 106th Inf. Div. Association. A lot has happened since first creating this website in 2008. Therefore it seemed time for a fresh coat of paint and some new content. 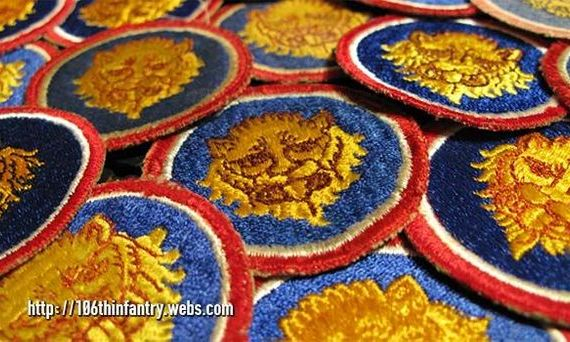 On this homepage you can find a few interesting short articles on events and members of the 106th Infantry Division "Golden Lions". A special page was created for the Annual Flag of Friendship Ceremony in St. Vith, with information on past and upcoming events. Donations are welcome for the flower fund. This page will also serve as the homepage for the Belgian "Bulge Chapter" of the Association. In the webstore you can find a collection of T-shirts and memoribilia. New items will be added regularly. With any questions, feel free to contact me personally. With great sadness we said our final farewell to Staff Sergeant John P. Kline, former machine gun squad leader in Company "M" of the 423rd Infantry Regiment. John served as President to the 106th Association and was the longtime editor of the 'Cub' magazine. Recommended Reading - New book by Harry F. Martin Jr. 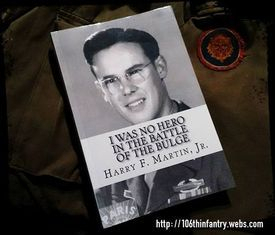 The memoirs of Harry F. Martin Jr., a rifleman who served in Company "L" of the 424th Infantry Regiment are now available on e-book and softcover formats. For more information click below. 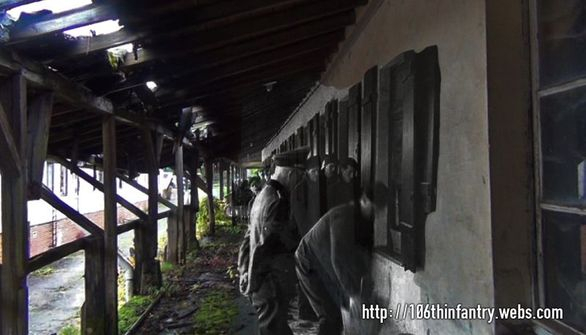 The following footage was made at the historical reconstitution at Joubiéval, Belgium during the commemoration weekend in December 2015. Belgian, German and American re-enactors faithfully recreated actual scenes from the early days of the Battle of the Bulge. This event was organized by Jean-François Noirhomme of the Bulge Relics Museum. An excellent museum that has an amazing collection of items recovered from the actual battlefields of the Ardennes.